According to USSR propaganda, Soviets lived in a land of plenty, where everything was provided for by the state. In reality, getting a car, an apartment or decent clothes was close to a dream for most families. 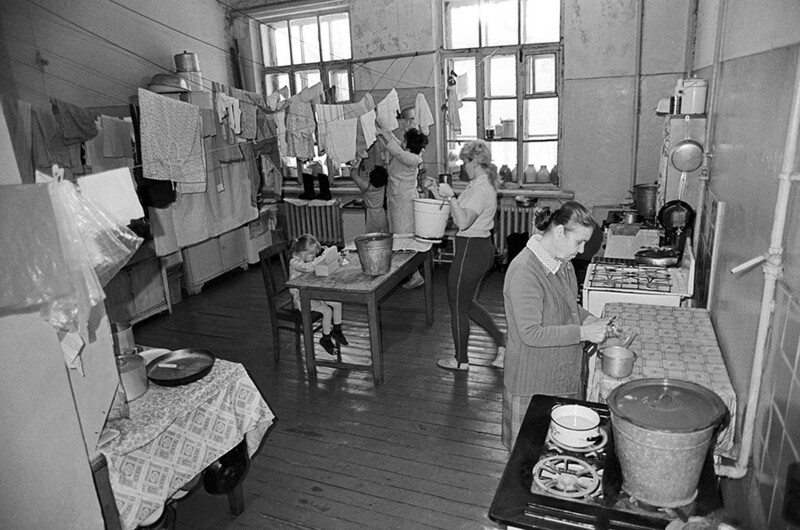 Soviet citizens were used to living with shortages. Communist ideology propounded equality for all — that meant that everybody would have their basic needs satisfied, but no luxury or high life was officially approved. This is why everything of quality, especially items from abroad, was definitely perceived as posh and people went to considerable pains to get it. Since the 1920s, many people lived in communal apartments, private houses in the countryside and even barracks. In Moscow, the most overpopulated city in the country, building apartment houses was accelerated from the 1940s, and in 1960s Nikita Khrushchev launched mass construction of affordable houses, later known as “khrushchyovkas”, all over the country. But one couldn’t go and simply buy a flat — there was no legal market. Of course, the state made sure that most people would get some flat to live in — during urbanization, many were relocated into big cities and were grateful for any flat. But what if you had some spare money and wanted to get a decent apartment? Workers of an institution like a factory or a research institute could form a cooperative, to which the state granted a loan to build an apartment house. Members of the coop paid monthly fees, and when the house was ready, they got their flats and continued to pay until the loan sum was returned — like a mortgage, but without percentage rates. However, the flat remained the property of the coop, and could be sold only to a fellow member. But cooperatives owned less than 10% of all the housing, so most of Soviet people were “in a queue” to get a flat from the state. In big cities, the queues were enormous and people had to wait years and years for their turn. Moreover, many people could get further in the queue using their private connections — it was all about cronyism and having friends in housing commissions or higher. One could also try to bribe officials to get a flat faster. A personal car offered freedom unheard of before — your own private space on four wheels. Soviet man rarely was alone — living in communal apartment crowded with kids and relatives, owning a car allowed him to socialize with other car owners at the garage, or to go anywhere without buying tickets and so on. 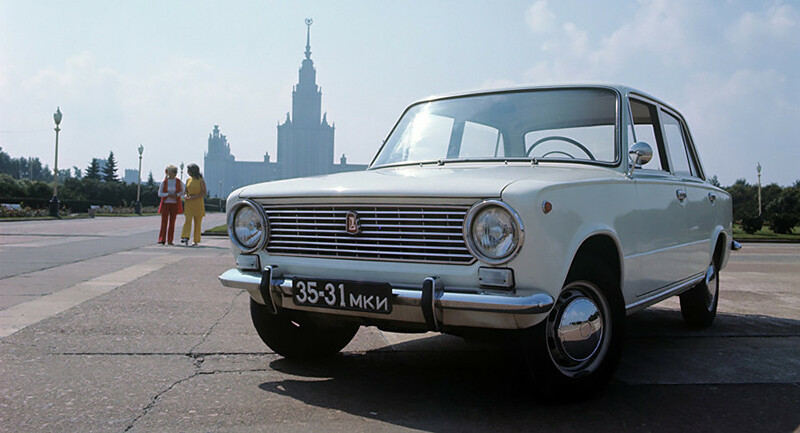 A car cost about 5,000 rubles in the 1970s, when an average monthly salary was about 100-150 rubles, and a family with two working people could save up for a car in 4–6 years. But there were no showrooms. First, you had to sign up to a waiting list in a labor union at work. When your turn came, one received a voucher that indicated the car model and color — only at the warehouse could the buyer finally see his car. 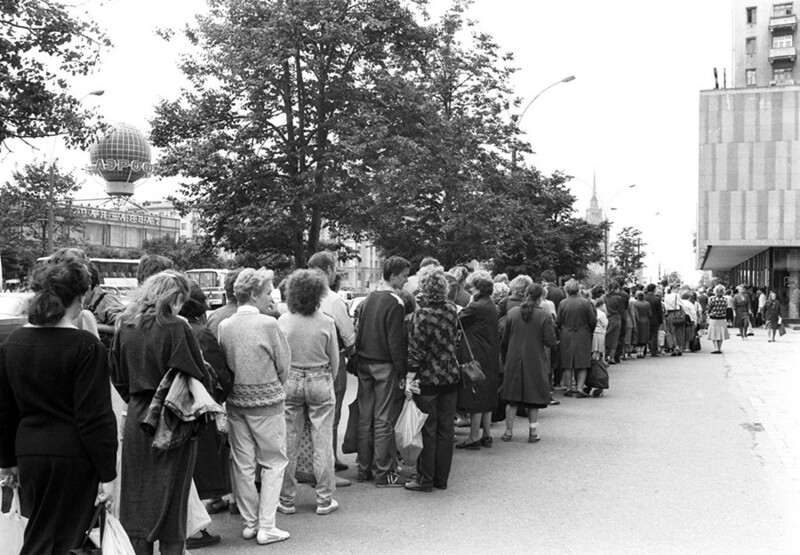 The queue could be manipulated by the organizers — administrative workers who maintained the local labor union, so for a bribe, a wealthy person could jump places on the waiting list. Every worker in the USSR had his 28 days of vacation yearly and everybody wanted to go to the sea. 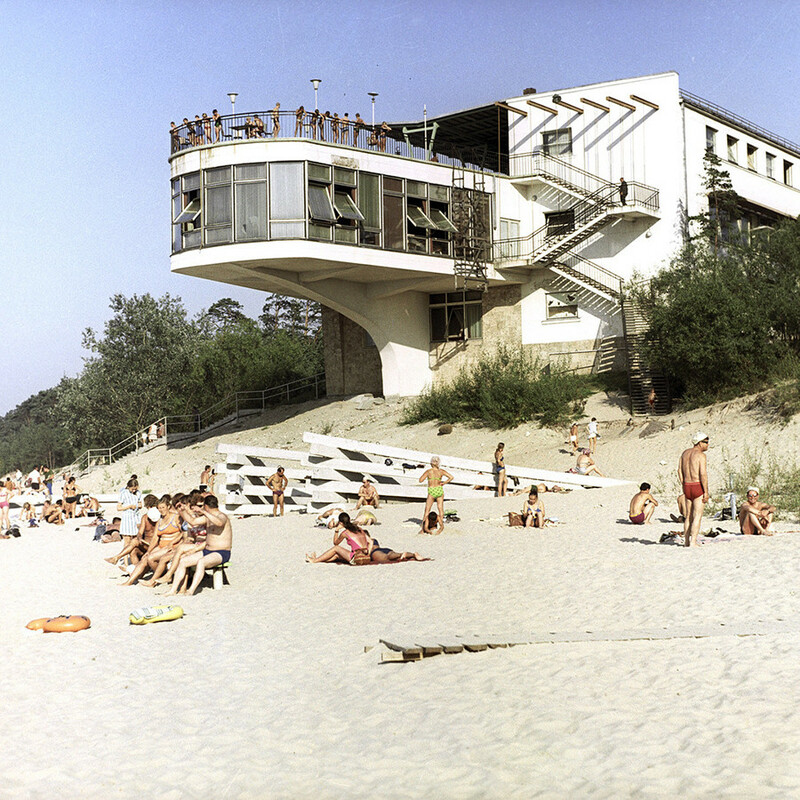 Soviet health resorts and sanatoriums had about 850,000 places yearly — but in a country with over 120 million people, less than 10 percent had the opportunity to bask in the southern sun. The craved vacation vouchers were distributed through the labor union office. Going to the sea with your family at your own expense would cost two to three monthly salaries, which was a bit too much. Raisa Zemnukhova, an 86-year-old former official for the USSR’s Ministry of Chemical and Oil Industry, told Russia Beyond that one could wait for up to two or three years to get to a decent health resort, where guests got a health-restoring schedule of exercises, relaxation baths, inhalation, sunbathing and so on. Health resorts also put on performances by Soviet movie stars and singers, and the diet was much better than even Moscow grocery stores could offer. The state compensated 70 percent of the cost of the voucher. One could also apply for a vacation in a suburban sanatorium, which was cheaper, but the conditions were average. What about overseas vacations? 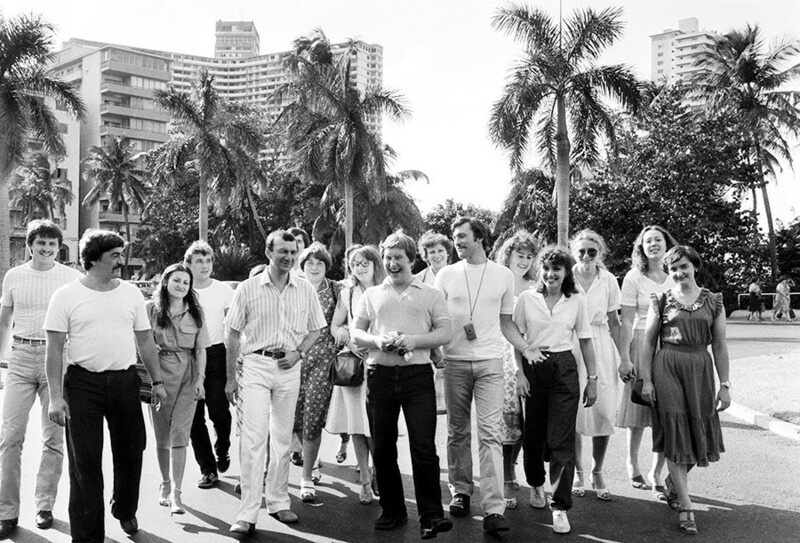 For most Soviet people, a trip abroad was truly something out of a dream. First, it was too expensive for most. Second, for most of the time, the KGB closely surveyed those who wanted to go abroad in case they might be foreign agents or spies, so applications for foreign trips were mostly denied — but not if you were a state official. “My husband had very good connections in the Party”, Raisa Zemnukhova said, “so he could always find someone who could help him with a foreign business trip. We spent a few years living in working in Myanmar, and later he went to Finland numerous times”. Working abroad, Soviet people got paid not in foreign currency (the state didn’t want foreign money circulating inside the USSR), but in “cheques” amounting to a certain sum of money. Back in Moscow, it was possible to exchange the cheques for rare and unavailable goods in special shops called “Beryozka”. Very few people could go abroad for a trip, but many needed a good pair of boots, a winter coat or a good set of furniture. For ordinary people, the hardest goods to obtain were “complicated” items like TV sets, vacuum cleaners or furniture sets — waiting list at labor union, again, then wait for months to go to the shop and order a chest of drawers or a Chinese tea set. Flea markets or newspaper ads were outlawed as speculation. So, with goods for everyday use, people had to look out — not for clearance sales but for merely the fact of the sale. In the State Universal Store in the center of Moscow, lines for women's winter boots or fur hats could stretch throughout the ground floor and go up to the second. Large lines stood for days, dispersing at dusk and returning in the morning with numbers indicating their place in line written on people’s wrists and copied in the notebook of a “volunteer” who controlled the order in line. 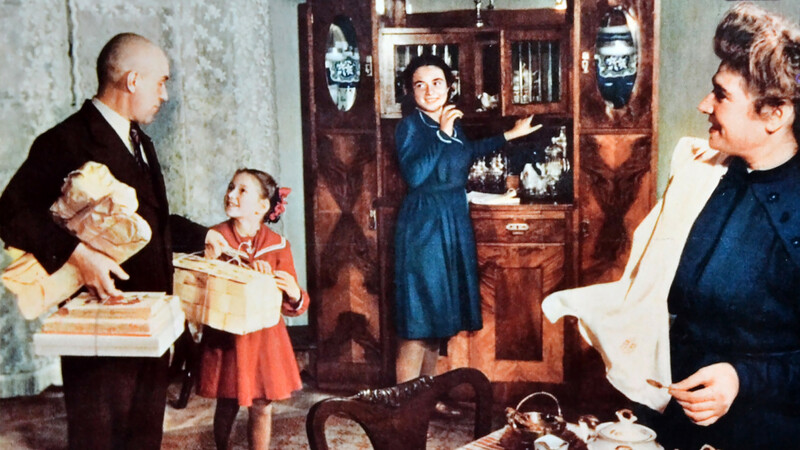 So getting something rare and upscale was quite a celebration for an ordinary Soviet family. To reminisce more about everyday Soviet life, see 6 Soviet habits that Russians can’t shake or check out 10 things you understand if you lived in the USSR. For something completely different, learn how car racing appeared in Russia.